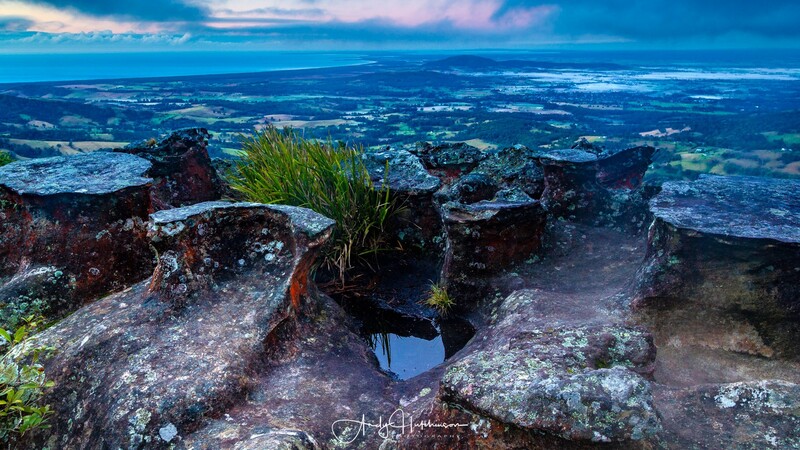 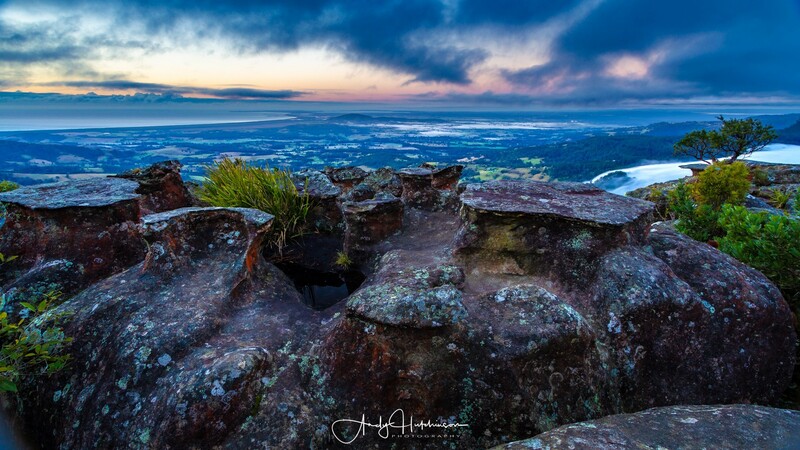 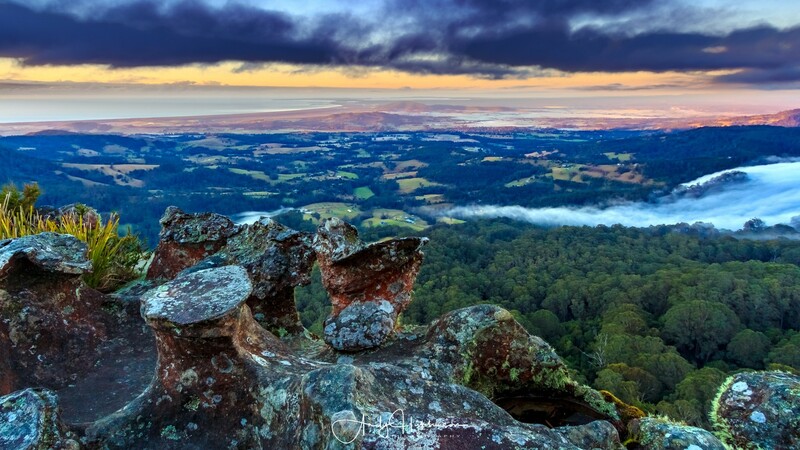 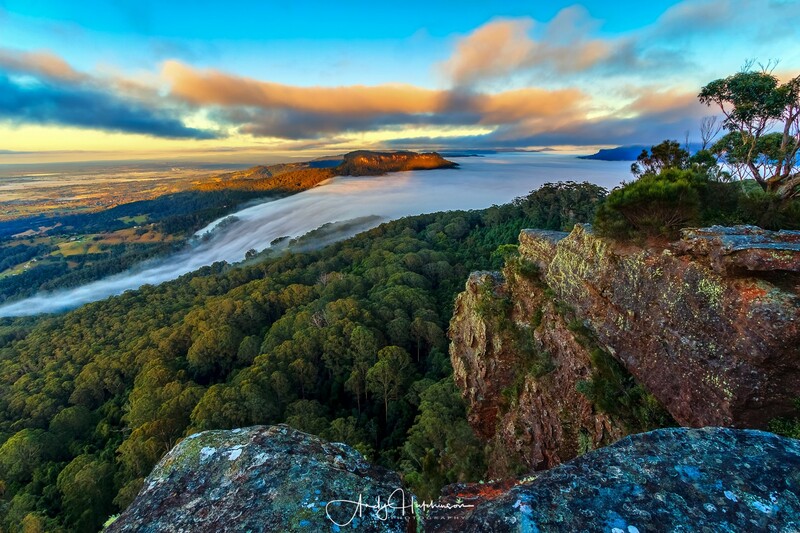 I had been meaning to photograph the famous Drawing Room Rocks scenic lookout at sunrise for a while, but it was Catherine who finally kicked me into gear and suggested we visit one morning. 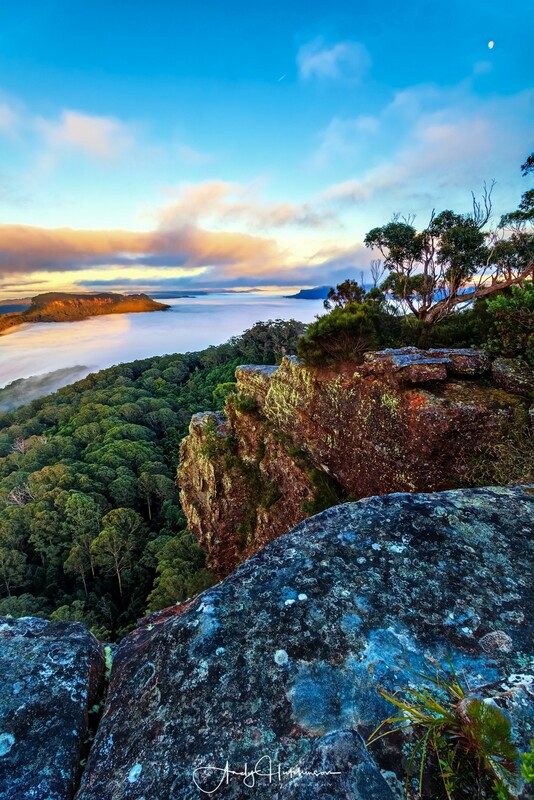 So we got up super early and hiked up through the Barren Ground Nature Reserve. 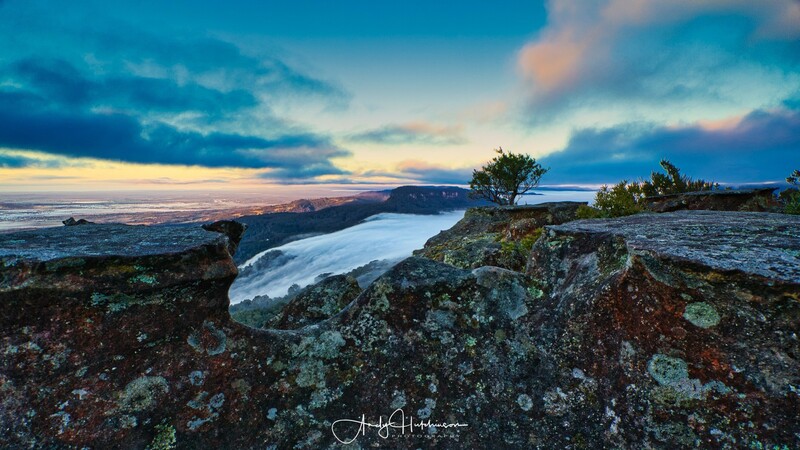 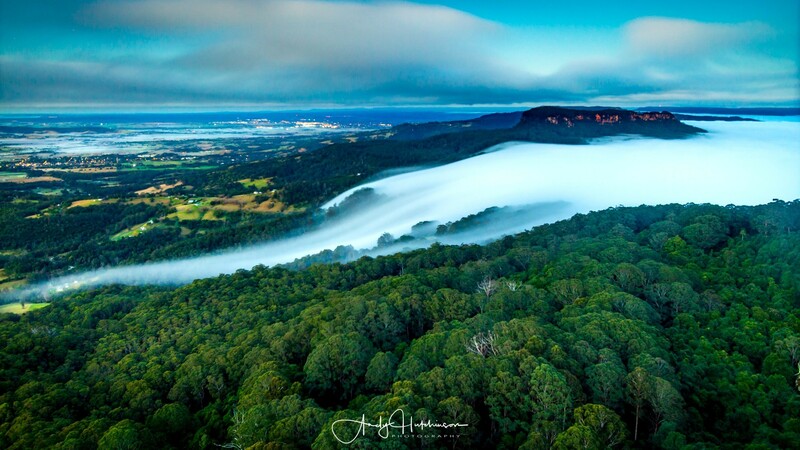 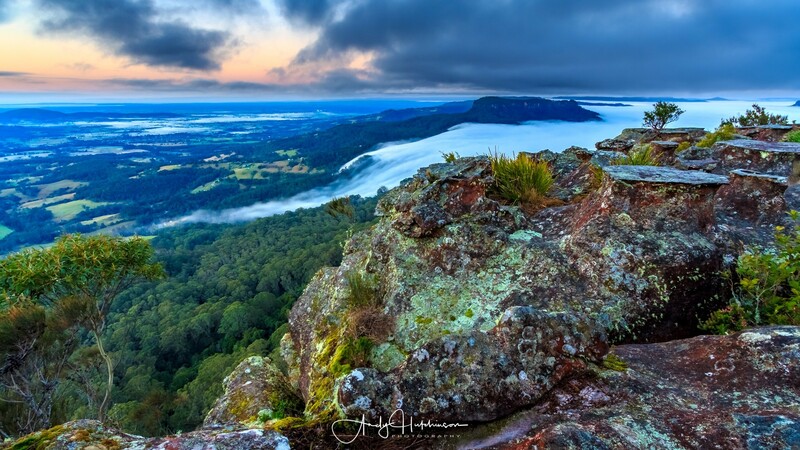 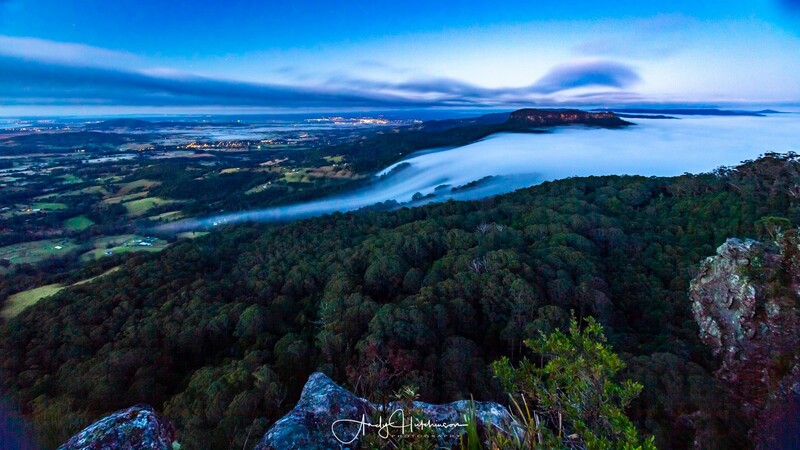 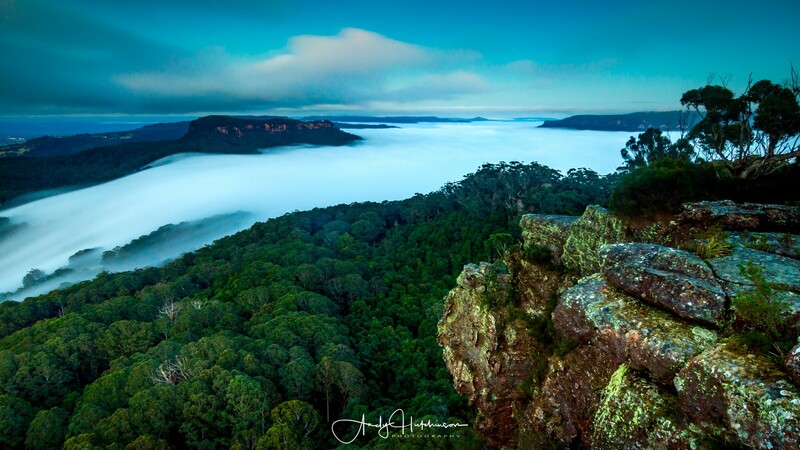 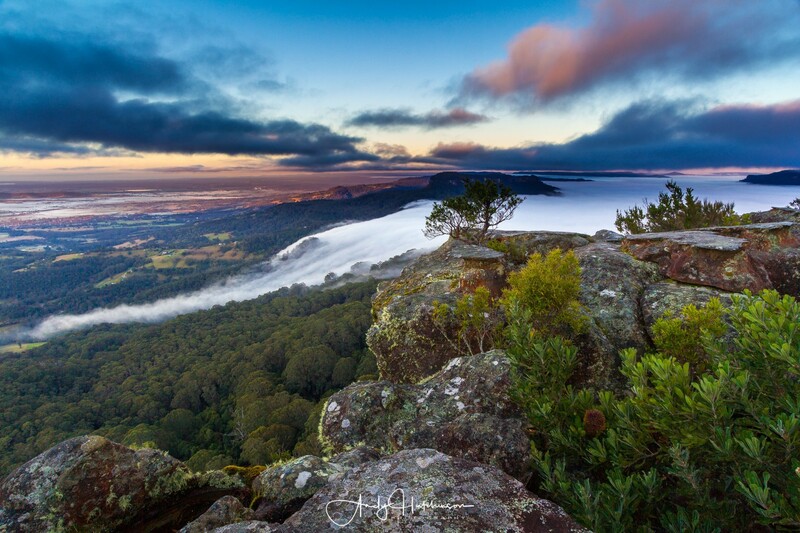 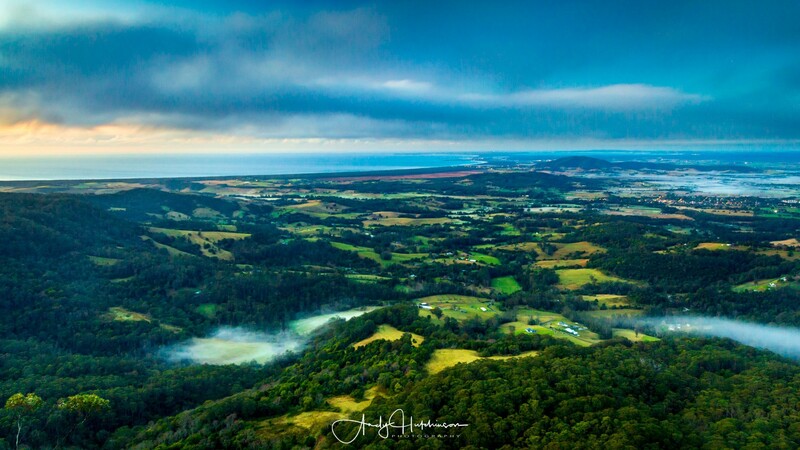 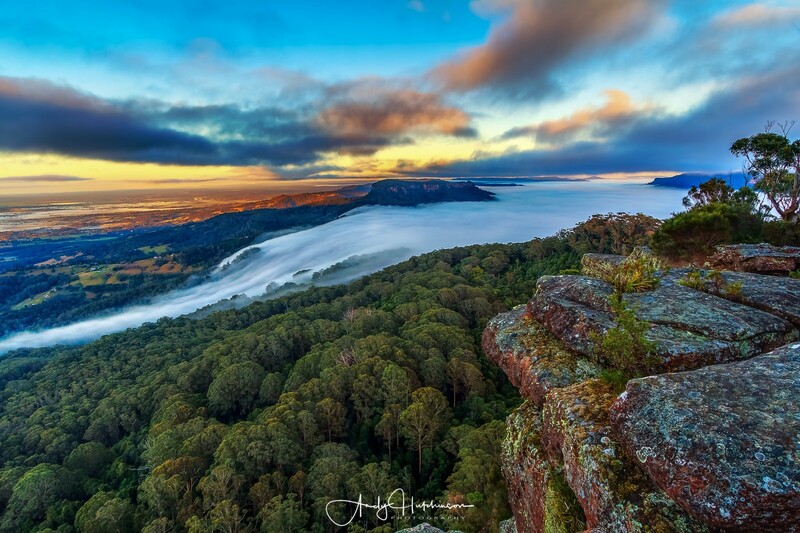 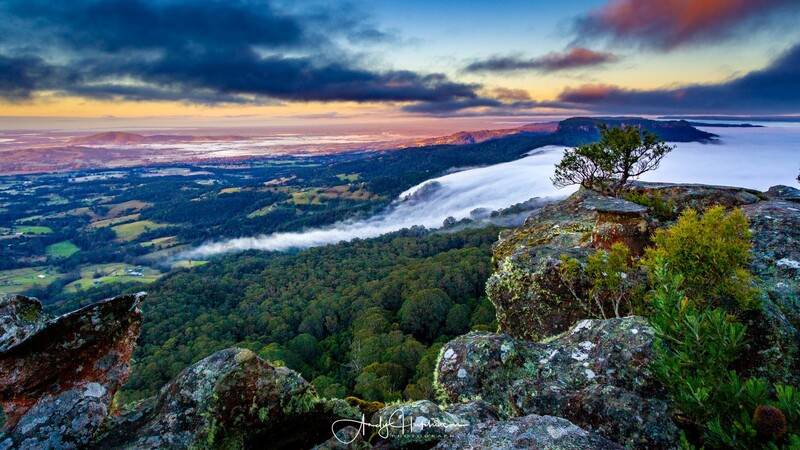 We were rewarded with an incredible sight – a waterfall of fog or mist flowing out of Kangaroo Valley and down Woodhill Mountain into the pastures around Foxground and Berry. 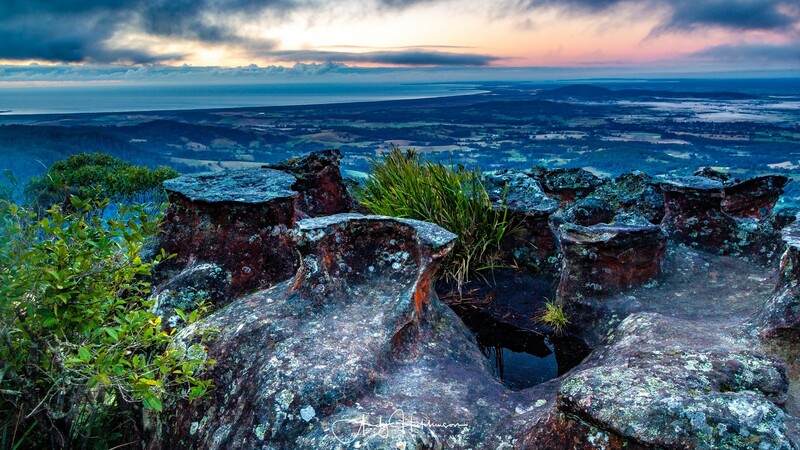 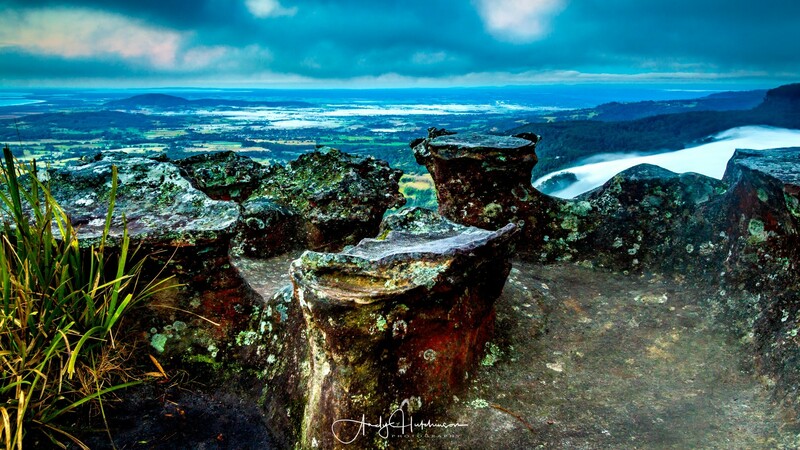 Located on the southern perimeter of the Barren Grounds Nature Reserve is one of the very best scenic lookouts on the whole south coast – the famous Drawing Room Rocks.